Above is the final result, from one angle, of the volunteer event from Sunday 11 September at Coldstream Marsh, and from another angle below. As you can see, the alder and sallow saplings have all been cut down (the remaining ones can be seen in the middle background in the photo below). It was an excellent start to the volunteer events programme for 2011/12 as well as being quite a warm and beautiful day, many worked in just in a t-shirt! The Coldstream Marsh area has undergone ‘scraping’ leading to plants such as the Skullcap (with the small, violet-coloured trumpets) and the Lesser Spearwort (yellow) starting to grow again (see picture below, click to enlarge). The latter is a member of the Ranunculus (Buttercup) family, which is why it looks very much like a buttercup. 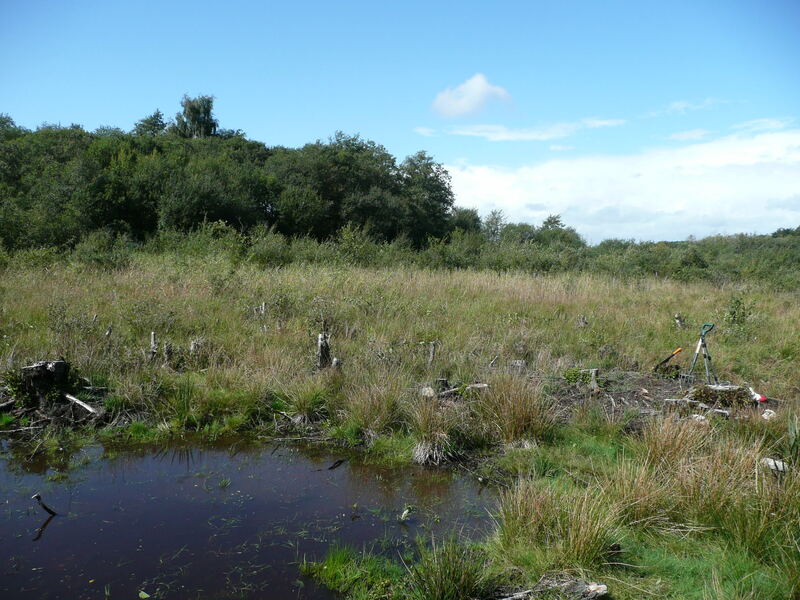 East Marsh and Coldstream Marsh were becoming encroached by scrub and trees from the surrounding woodland; this was creating shade and drawing up water from the wetland areas, creating too dry an area for the important plants to grow. The trees were cut down and the timber sold locally as firewood. The scrub was removed with a machine and mulched. The chippings from this were then scraped into piles on the woodland edge. These spoil piles will soon be covered with vegetation themselves, creating important habitats for small mammals, reptiles and invertebrates. If you would like to join us in future events (the next one is Sunday 9 October) please take a look here. We look forward to seeing you! The link to the full edition (Autumn/Winter 2011) is here. Rare plants that have not been recorded in the area since the 60’s and 70’s are once again thriving in the correct wet conditions. 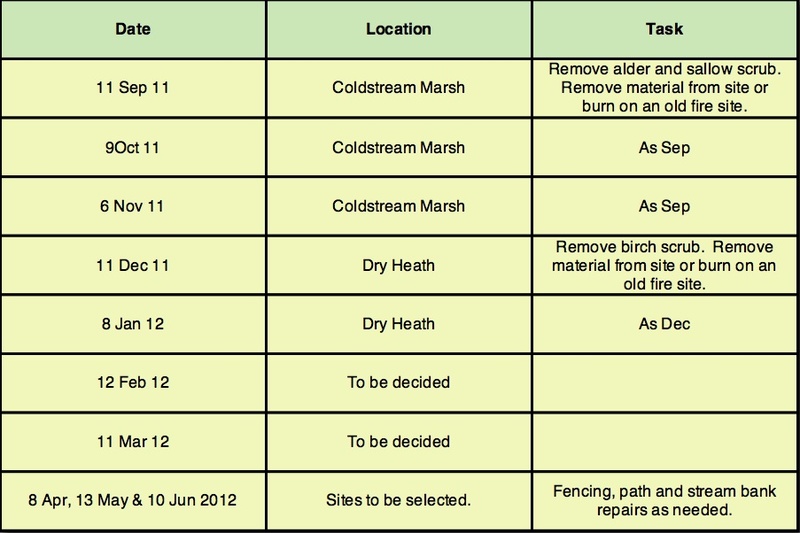 Last year extensive restoration works went on in East Marsh and Coldstream Marsh to remove the encroaching scrub and trees. 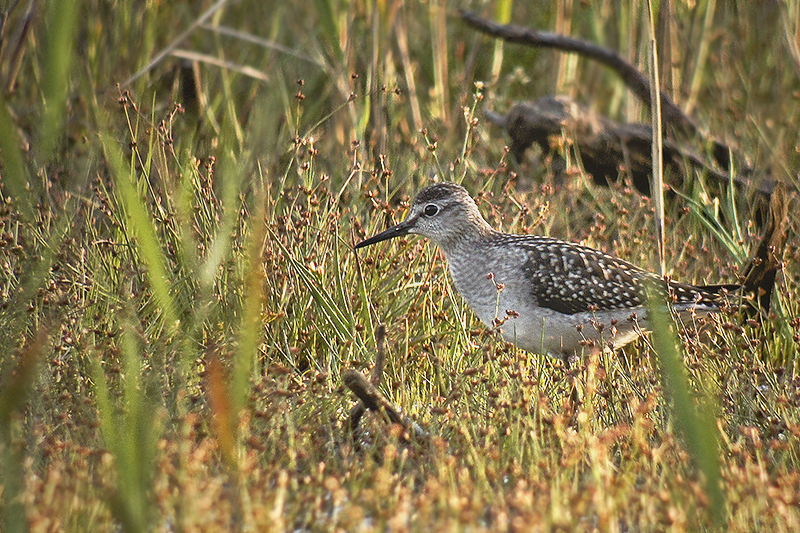 The restored habitat was also visited by a wood sandpiper in July. Some of the wetland plants that have been recorded this summer include species such as lesser water plantain and marsh speedwell, both of which produce small delicate flowers. Bottle sedge and bladder sedge have also been recorded. Both of these species are regionally scarce due to their decline in numbers over recent years. The most notable find was pillwort, a small creeping fern that is listed as internationally threatened on the European Red Data List. 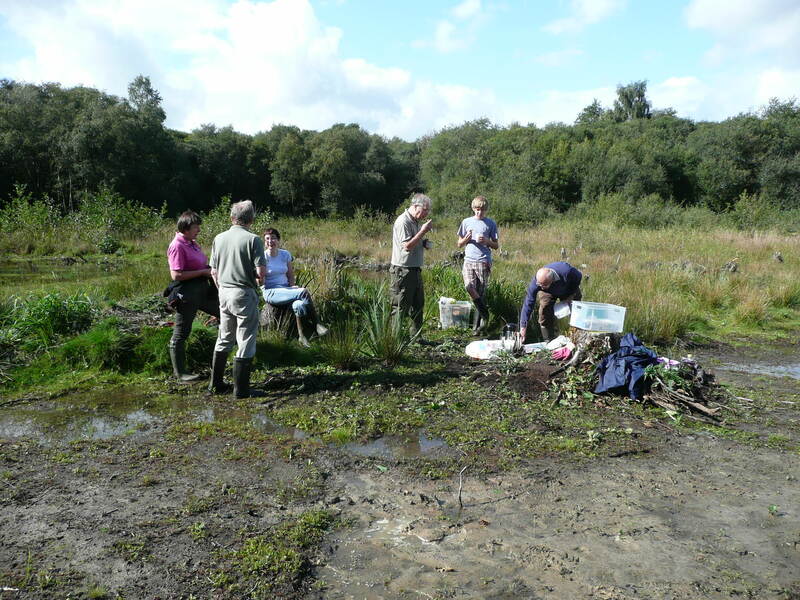 The UK holds a large proportion of the pillwort population but it has not been found at Fleet Pond since 1964. Several colonies have now been found in the marshes indicating that these management techniques are working well. The technique of scraping away the vegetation had been trialled previously on a small scale and the results were very encouraging with some scarce and threatened plants returning to the site. 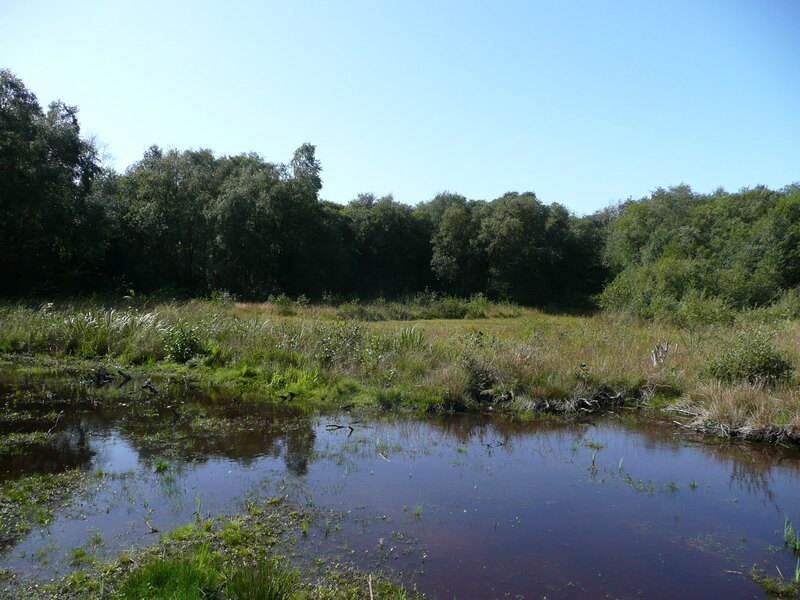 Shallow pools have also been created in this area, making a perfect habitat for many wetland plants, dragonflies, damselflies and water fowl. In July the pools were visited by a Wood Sandpiper, this is only the 6th record of this migrant wader at Fleet Pond since 1960. Ed. There is a map of the mentioned locations on the About page above. The locations referred to above can be found on the map given in the About page (above) to this blog. New volunteers will be very welcome to join us at any of the above tasks. Examples of previous volunteer events (including many photos) can be found by using the search facility on the top rhs of this blog. 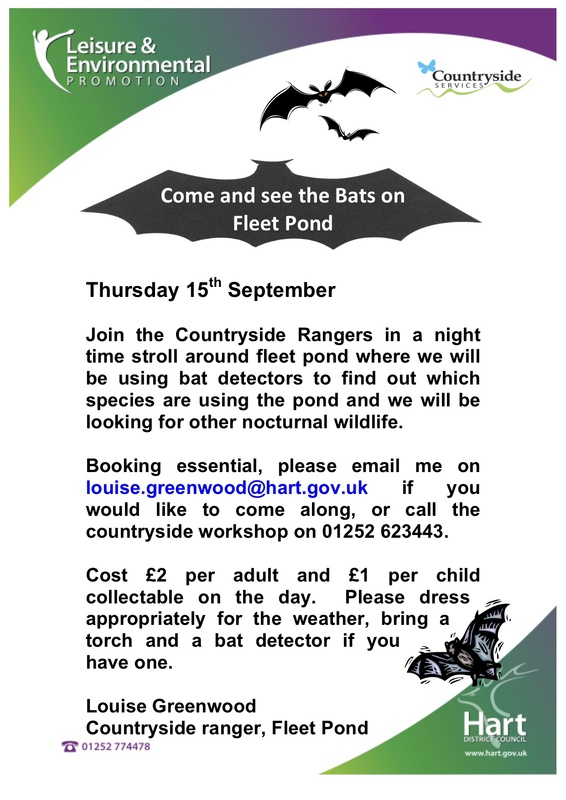 If you’re curious as to what a bat walk at Fleet Pond may actually be like, take a look at the write-up of a previous walk here. 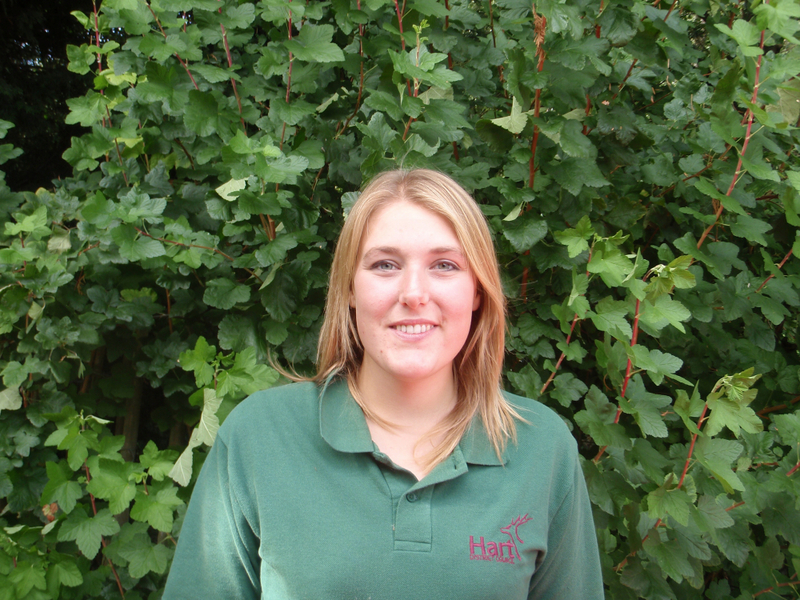 I am very excited to be joining the team at Hart District Council as the new Countryside Ranger at Fleet Pond. I have been working in a similar role for Surrey County Council looking after 25 sites around North Surrey and South London. I went to University in Reading, so spent a lot of time bird watching around the local area and received a first class honours in Zoology. I am a keen natural historian and especially interested in the insects that can be found around the pond. 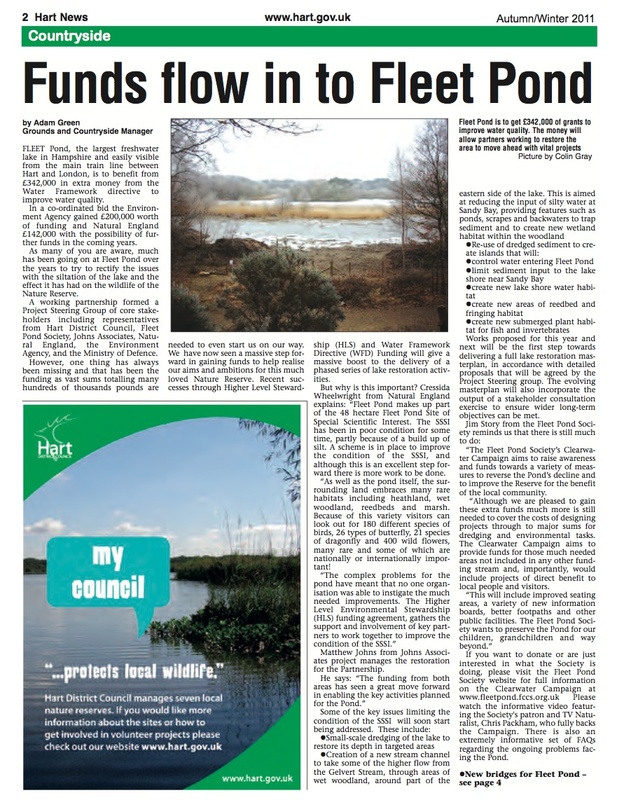 I am looking forward to taking on the new challenges of working at Fleet pond. There are exciting times ahead. Livestock are going to be grazing Fugelmere marsh as of next year. We are installing a new grazing enclosure which will include Fugelmere marsh, Fugelmere wood and Alder wood. 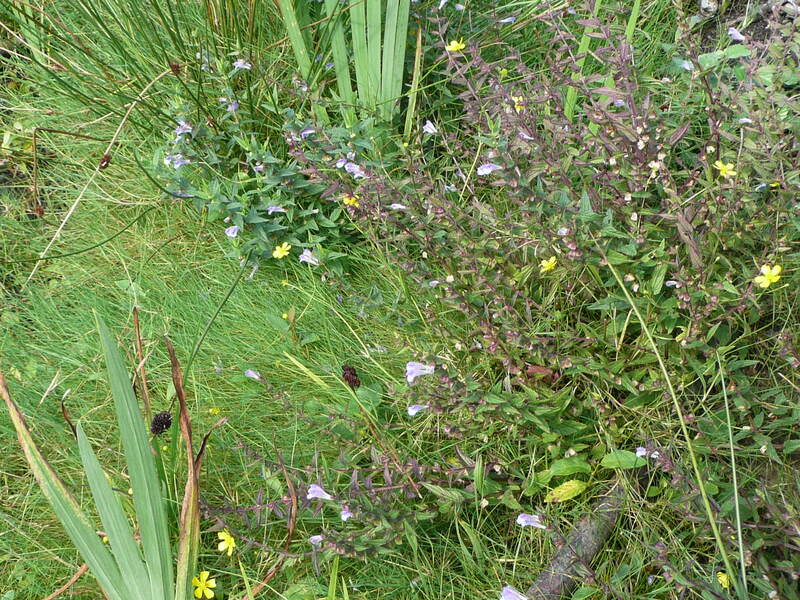 Grazing maintains a mosaic of vegetation this is important to provide a wide range of habitats for wetland species. Clearance work will start in September. Silt accumulation is a big problem at Fleet pond this is a result of silt travelling into the pond via the streams. We will be tackling the underlying cause by diverting the Gelvert stream through the Coldstream ditch where it will eventually feed into coldstream marsh. It is hoped this will dramatically reduce the amount of silt entering the pond and stop the footpaths flooding during high rainfall. This winter we will be clearing the scrub and cutting the reeds in Brookly reedbed. The reedbeds at fleet pond are designated as a priority habitat in the UK and are home to important plants and animals. Bird species such as the Reed Warbler and Reed Buntings are known to nest in the reedbeds every year in good numbers. However over the years if left unmanaged the habitat is lost due to the encroachment of trees and scrub from the surrounding woodland, these create shade as well as drawing up the water from the wetland. Reedbeds are maintained by reed cutting, the reed is cut to encourage the new growth and to reduce the accumulation of old dying reed within the reedbed. Looking forward to seeing you around the pond! “Our new season of conservation tasks starts this Sunday. I have had a look at Coldstream Marsh and there is a lot of alder and sallow to clear. Soil conditions are not too bad considering the rain we have had lately but you will need wellies out there. We will enter by climbing over the fence to the rear of Sandy Bay. There is an old fire site on the marsh edge that we can use. Volunteers will need old clothing, waterproof if rain is expected. Examples of previous volunteer events can be found by using the search facility on the top rhs of this blog. You are currently browsing the Fleet Pond Blog blog archives for September, 2011.